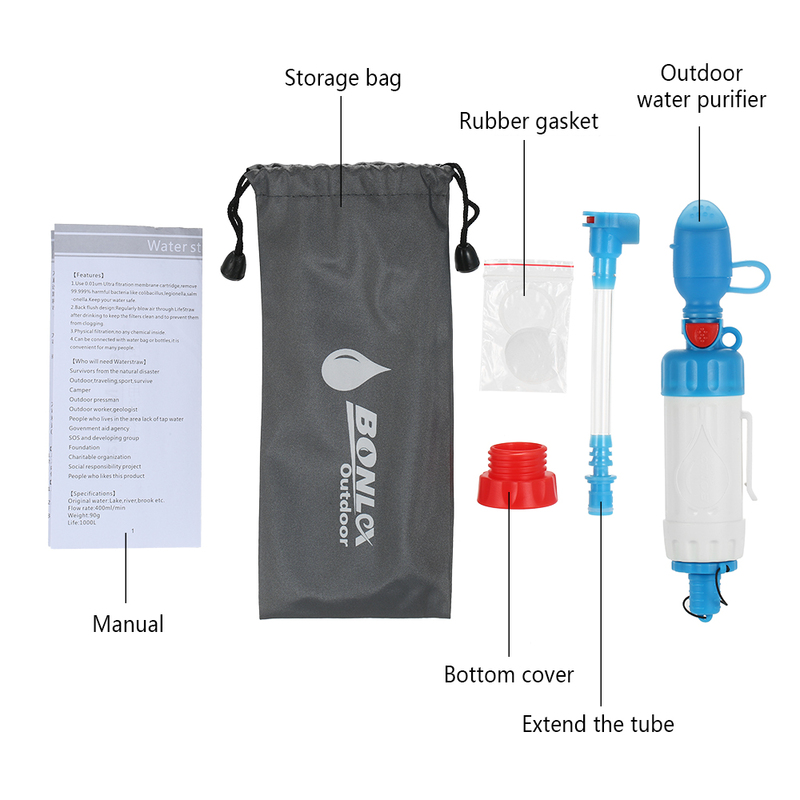 Lightweight, convenient, and safest way to stay hydrated when camping, hiking, fishing, backpacking, biking, international travel. 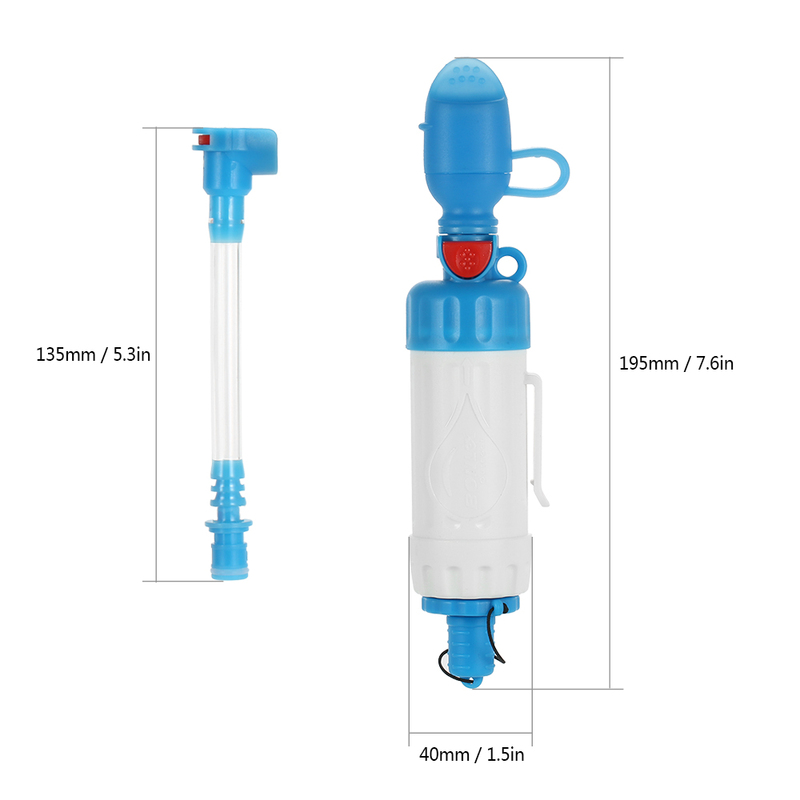 Using the highest precision 0.01 micron hollow ultrafiltration membrane 99.9% filter out water harmful bacteria, to ensure the safety of drinking water. Pure physical filtration, compared to chemical sterilization more secure. 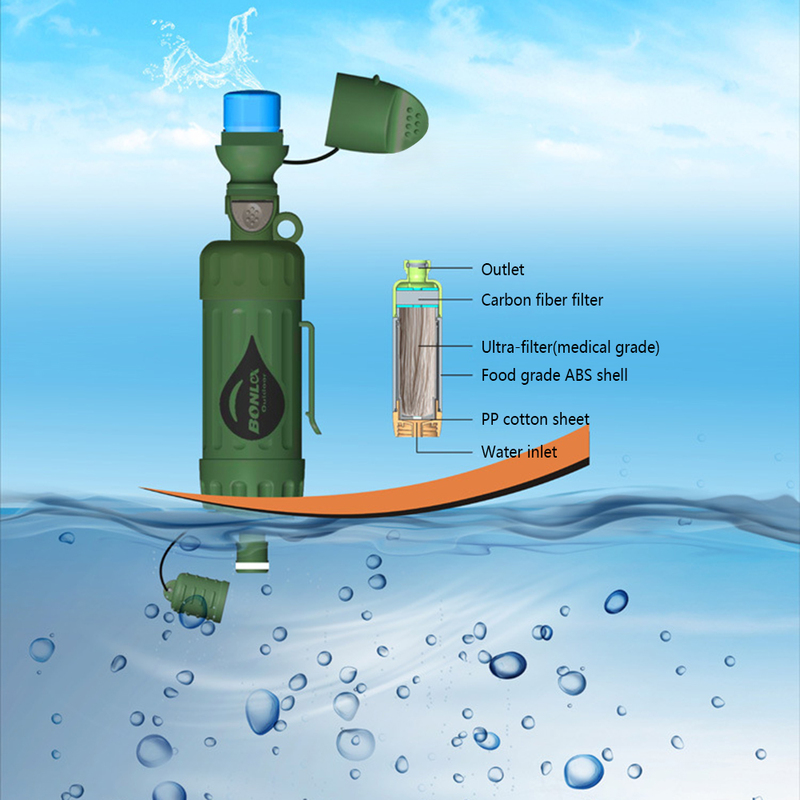 With water bottles or beverage bottles and other connections to use, to facilitate the demand for drinking water. 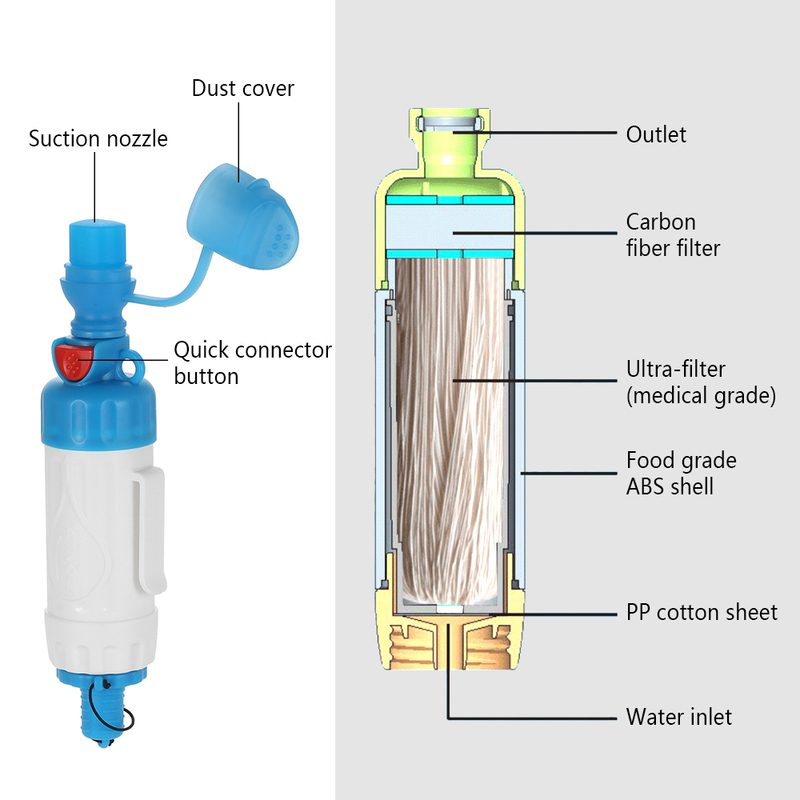 Three kinds of use: Straight suction; Connect to a soft kettle or water bottle; Connect to the water bag.